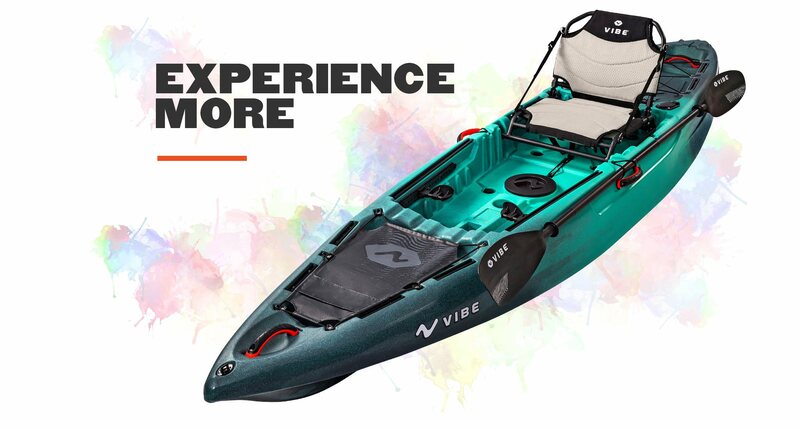 Explore more with the Vibe Yellowfin 120 kayak. This lightweight boat offers stability without sacrificing speed. 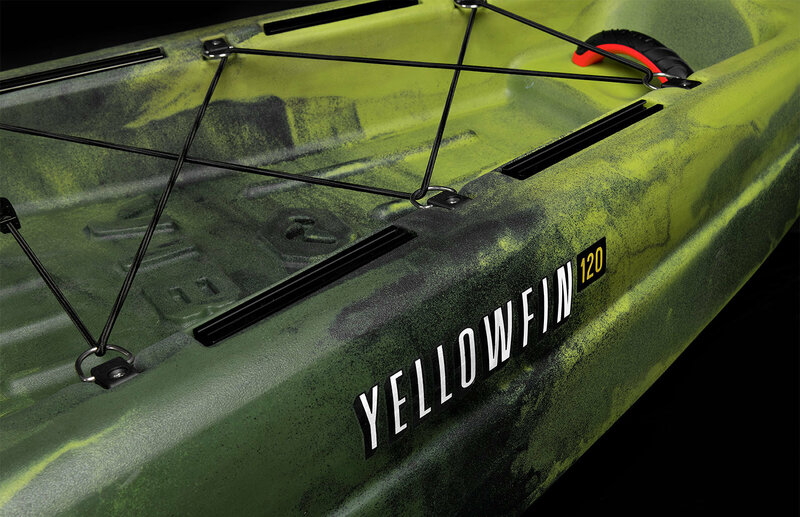 Packed with rigging and storage options, the Yellowfin 120 is an essential kayak to add to the fleet! 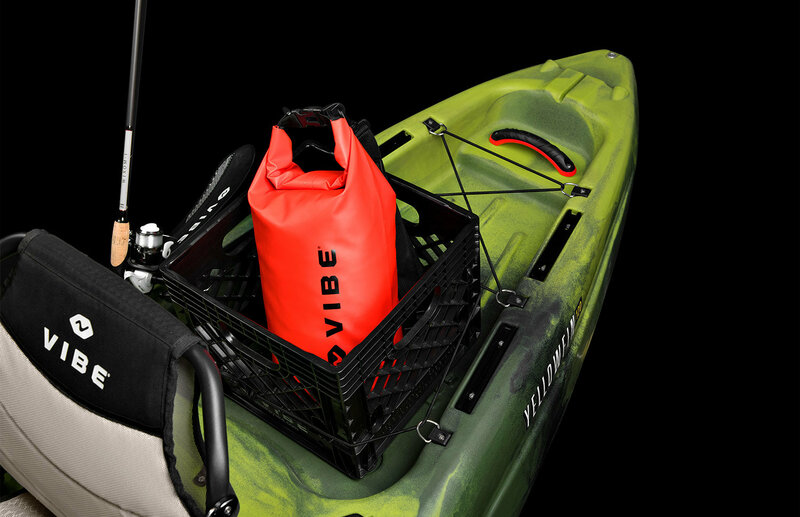 The large rear cargo storage area with bungee tie downs provide plenty of room for cargo, crates or small coolers. 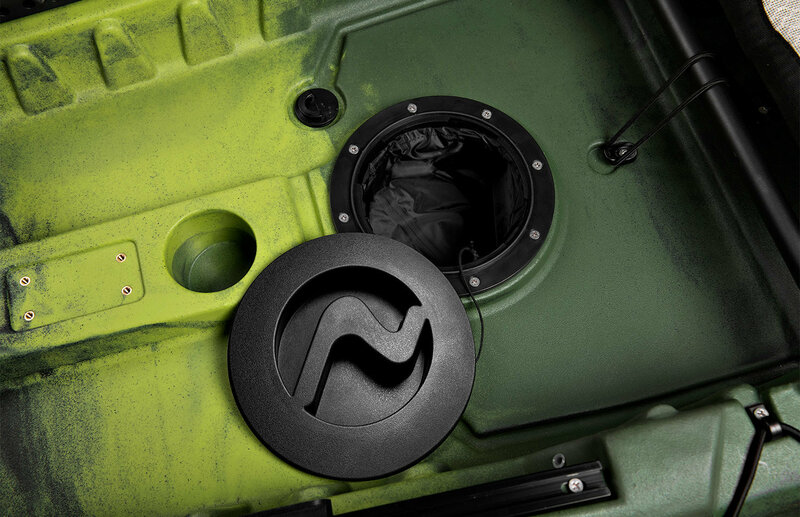 The shallow deck area of the Yellowfin 120 has plenty of storage areas; including a 6″ sealed V-Wave deck plate with waterproof cargo bag, built-in cup holder and tackle toss tray for quick tackle changes. 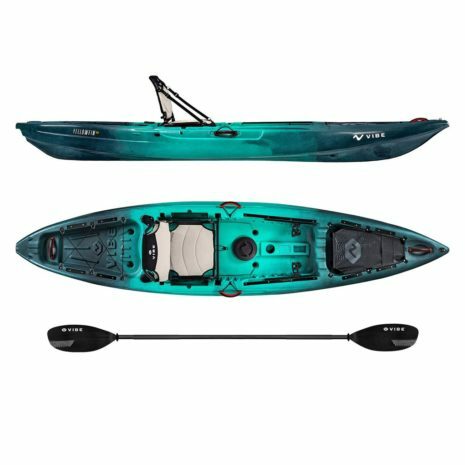 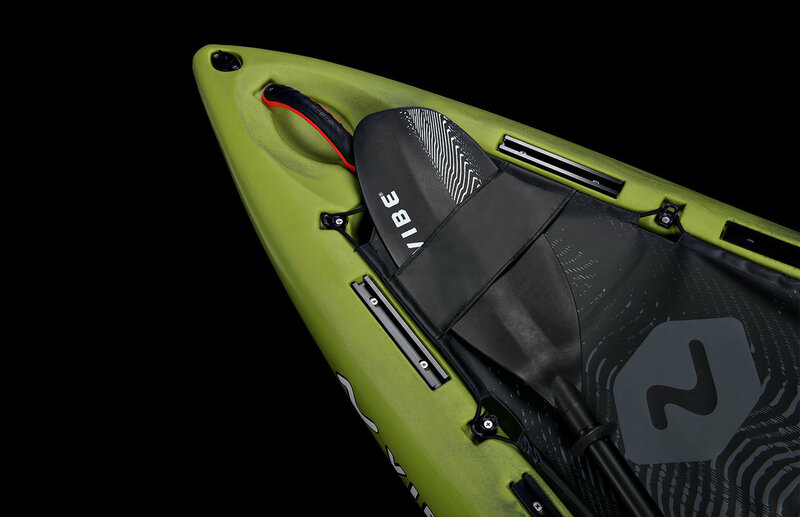 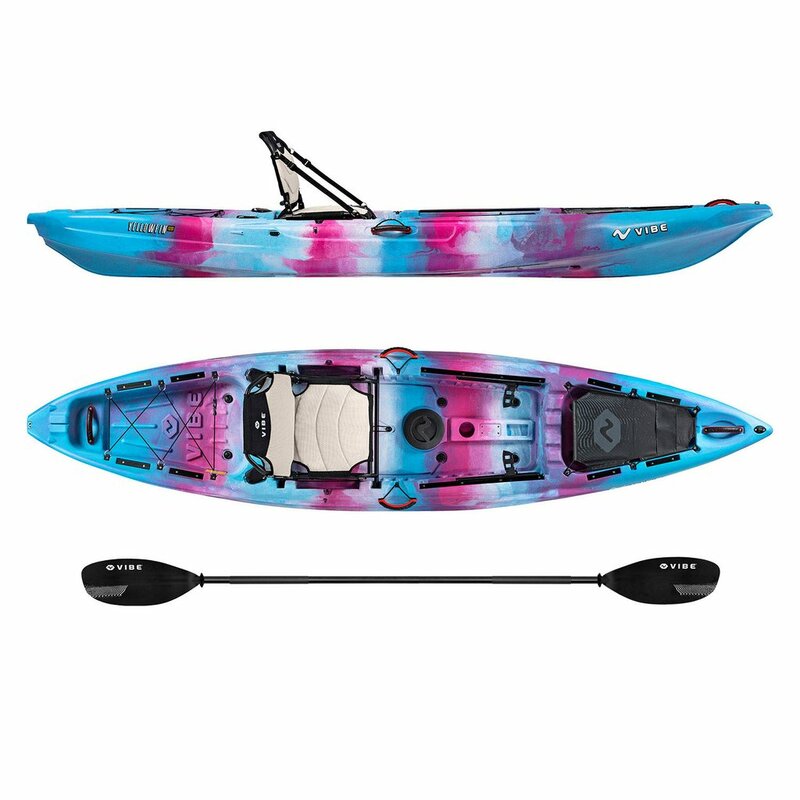 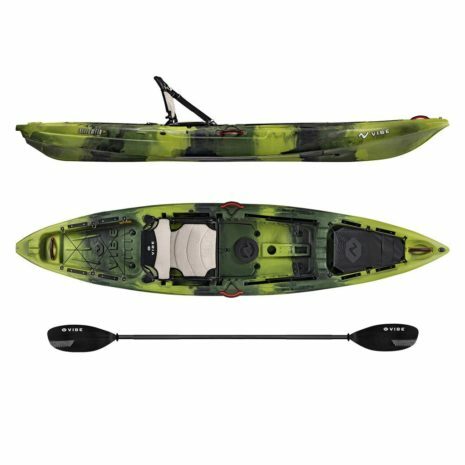 The Vibe Yellowfin 120 kayak is loaded with features, including a 6″ sealed V-Wave deck plate with waterproof cargo bag, and an a shallow console for open deck space. 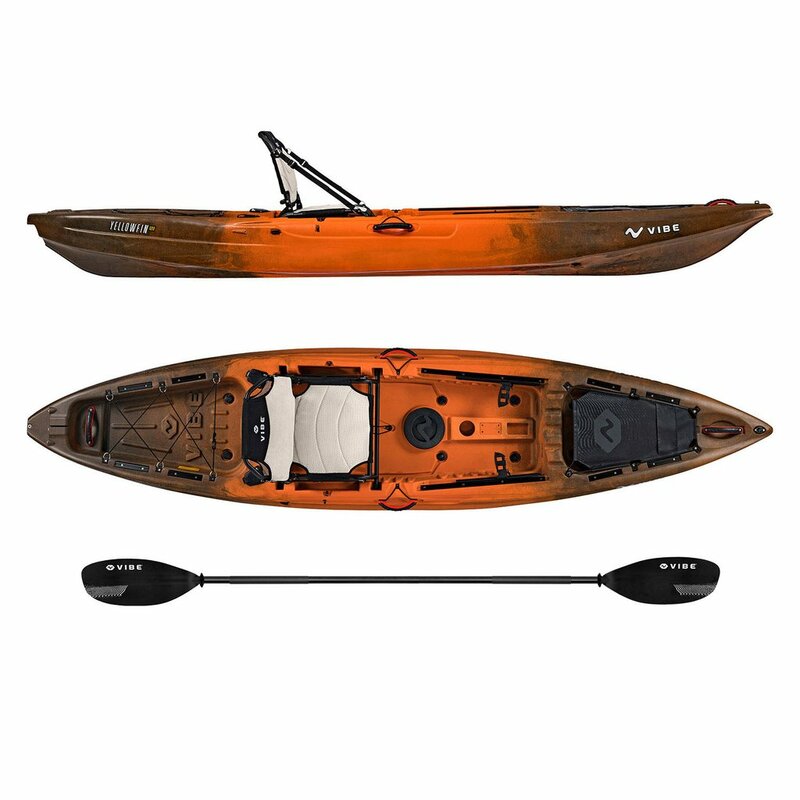 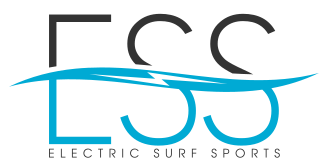 Stow your gear in the front cargo storage area with Flex Top gear cover, and slip your paddle into the quick access bow paddle park. 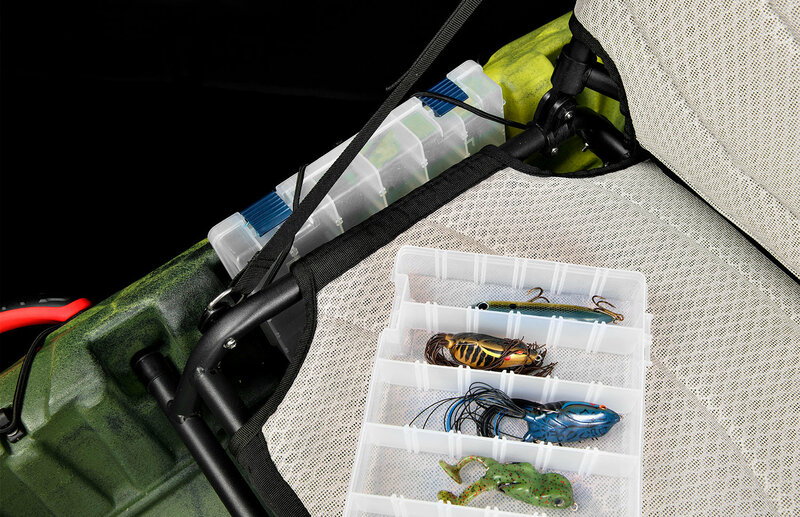 The Yellowfin 120 has two tackle tray holders that fit PLANO 3600 tackle trays. 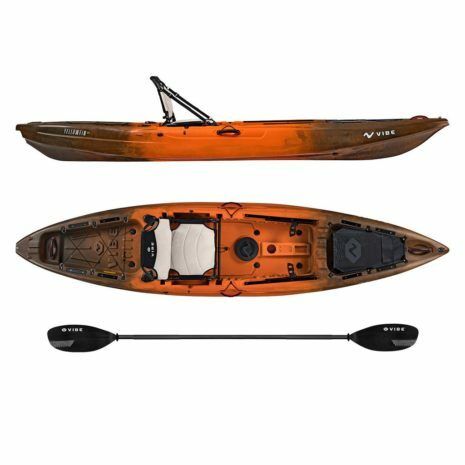 The large rear tankwell with adjustable bungee on the Yellowfin 120 is great storage for a weekend paddling or camping journey or for those paddlers who like to carry all their gear. 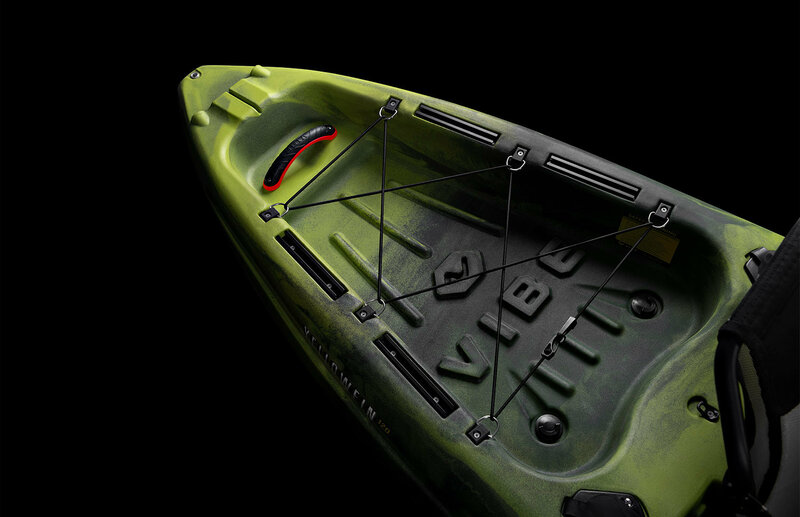 Rigging is a breeze with 2 flush mount fishing rod holders, and 10 integrated top-loading gear tracks. 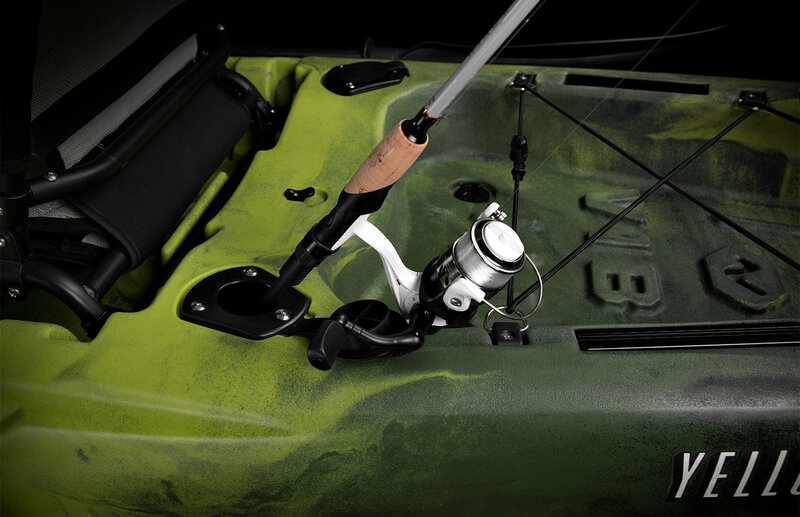 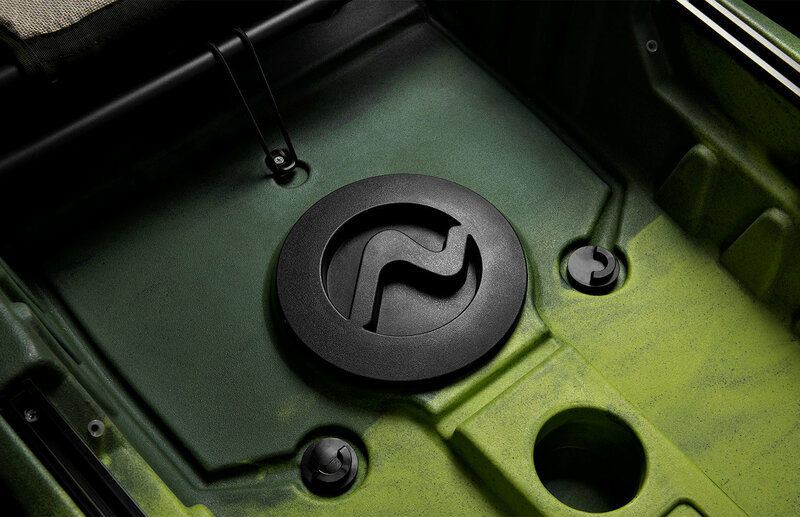 10 integrated, top-loading gear tracks are included on the Yellowfin 120. 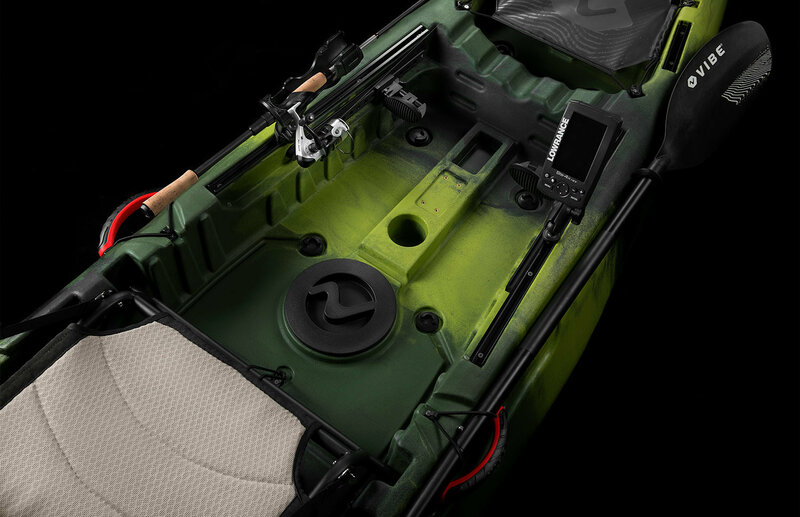 The shallow deck area of the Yellowfin 120 has plenty of storage areas; including a 6″ sealed V-Wave deck plate with waterproof cargo bag, built-in cup holder and tackle toss tray for quick tackle changes. 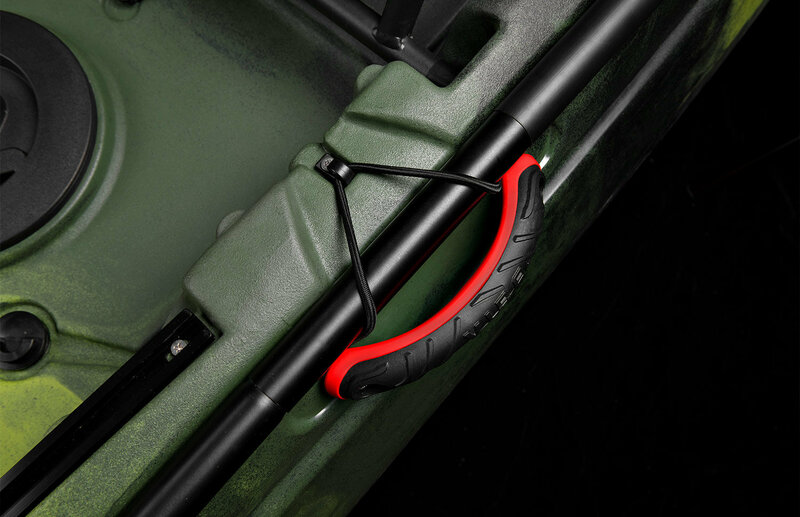 There’s also a mount for rectangular base accessories.